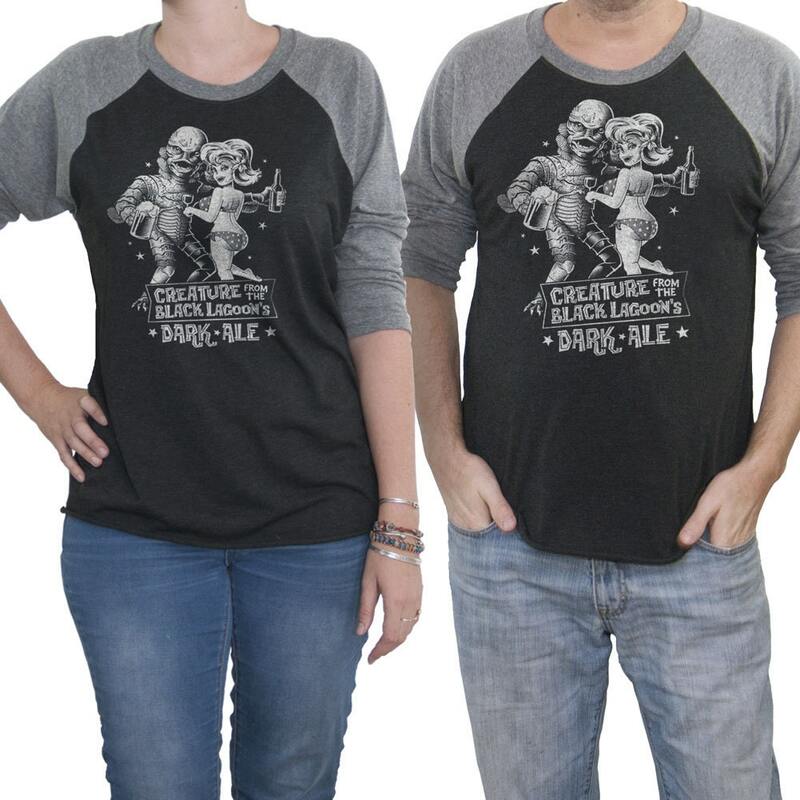 Creature from the black lagoon shirt. 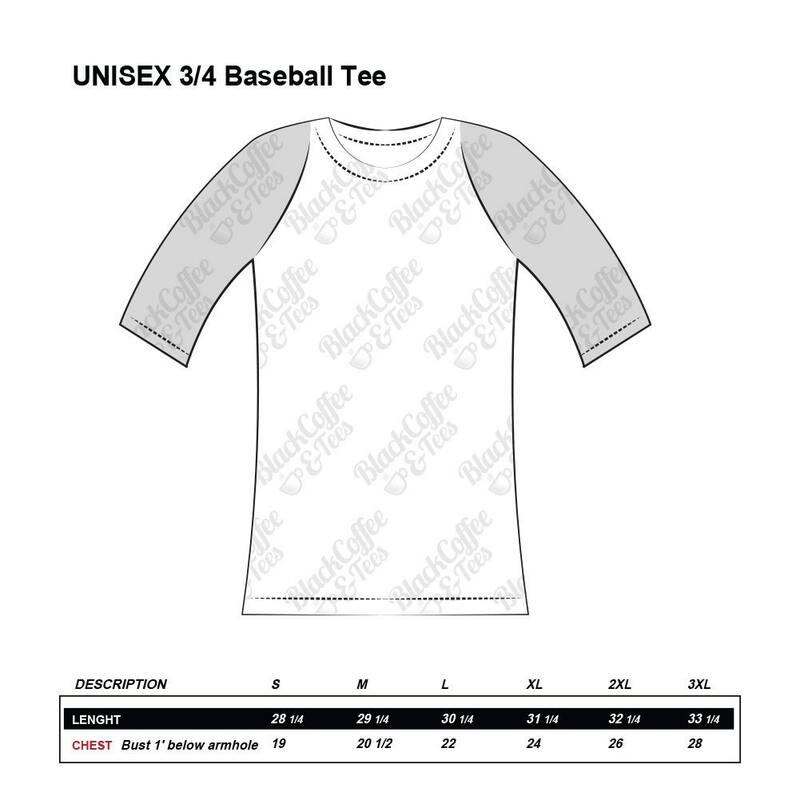 Hand Screen Print of The Creature From The Black Lagoon on a Unisex Baseball Tee. 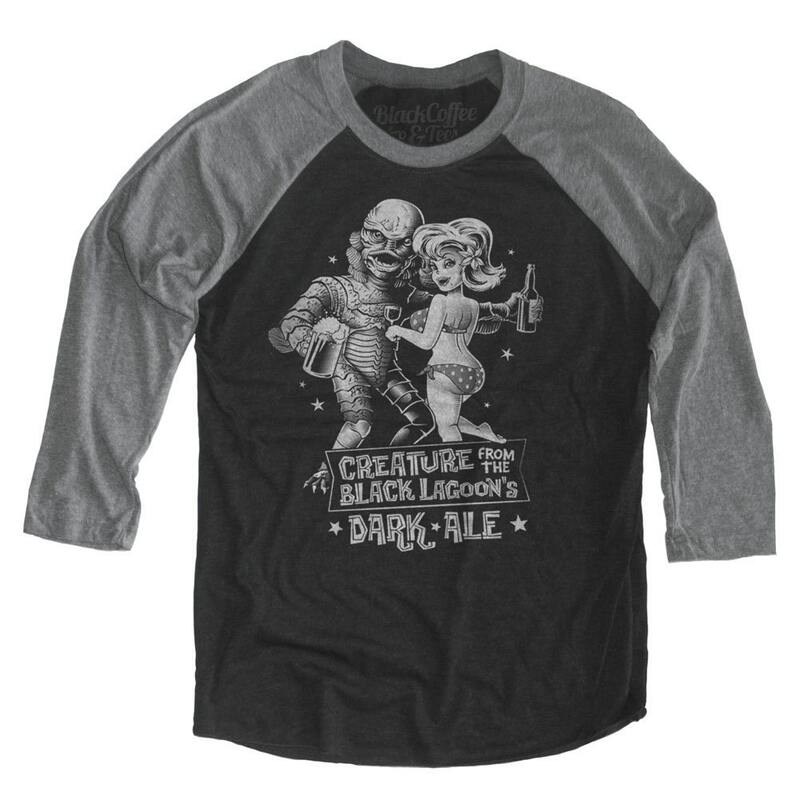 Creature From The Black Lagoon's Dark Ale! Craft Beer Shirt.